You will adore this Kitty Katrina Incredibles Mouse Ears Headband! 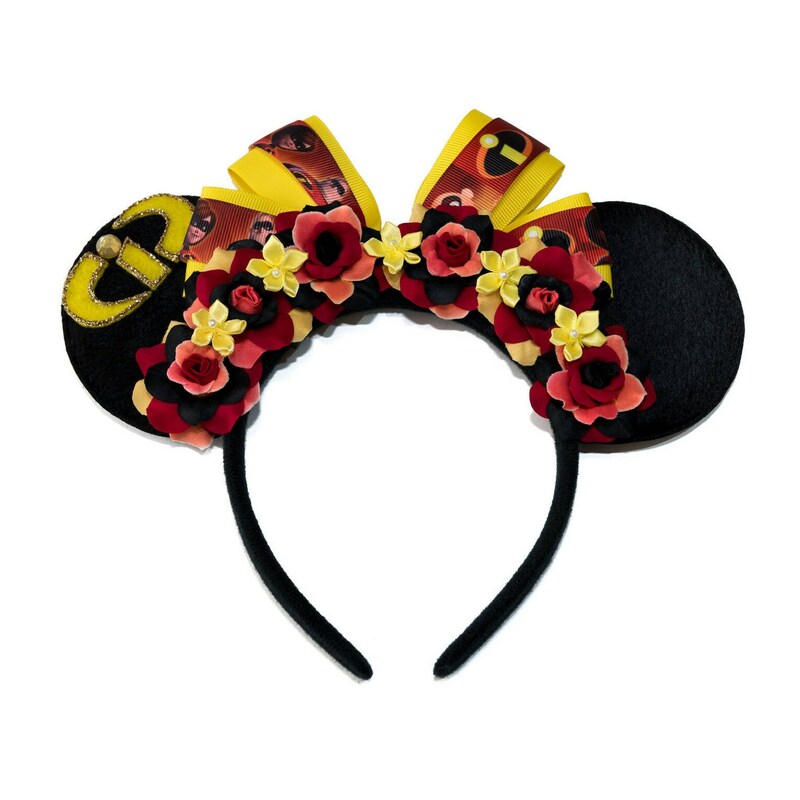 This beautiful headband features a handmade yellow bow overlaid with Incredibles character detailed ribbon, along with orange-yellow / red / black silk roses decorated with miniature yellow satin flowers, and a handmade, sparkling felt Incredibles symbol on one ear (see image). 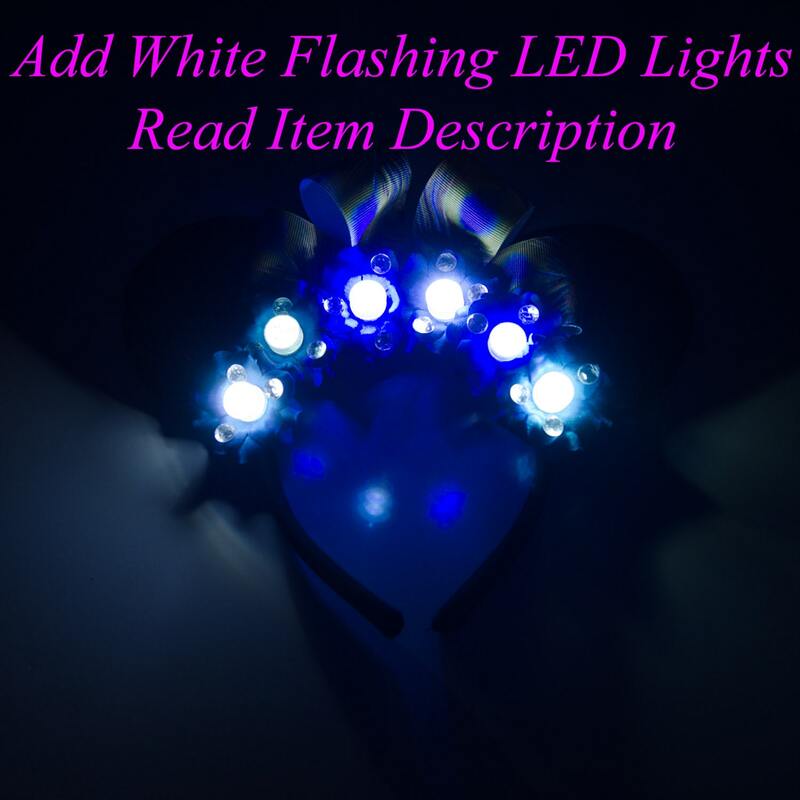 IMPORTANT NOTE: At this time, due to the construction of our mouse ears, we cannot make / combine our Jumbo Mouse Ears with LED Lights. These upgrades are independent of each other. 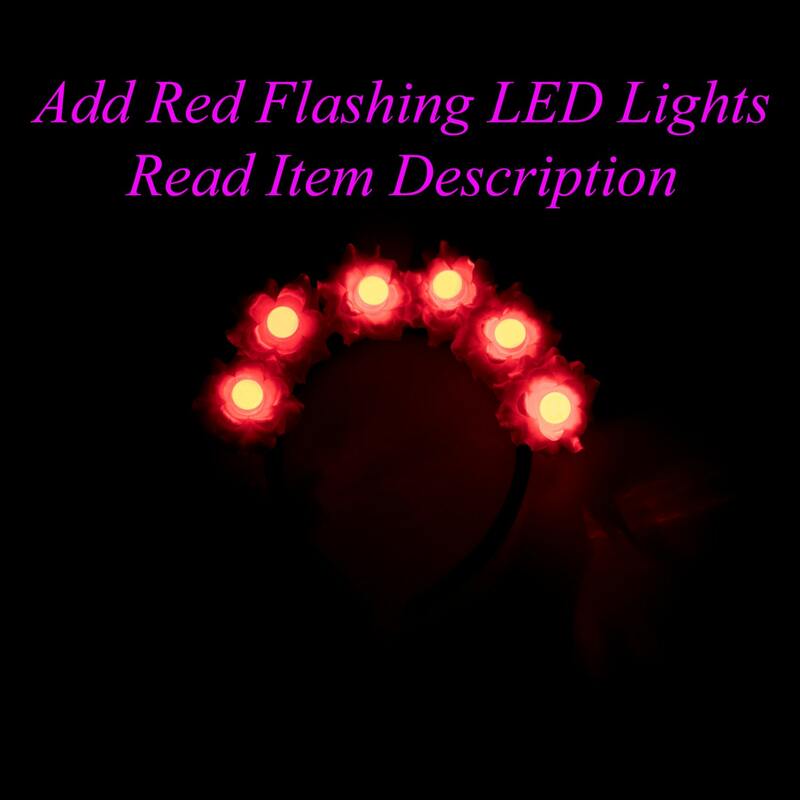 Therefore, if you purchase Jumbo Mouse Ears, you will NOT receive LED Lights. 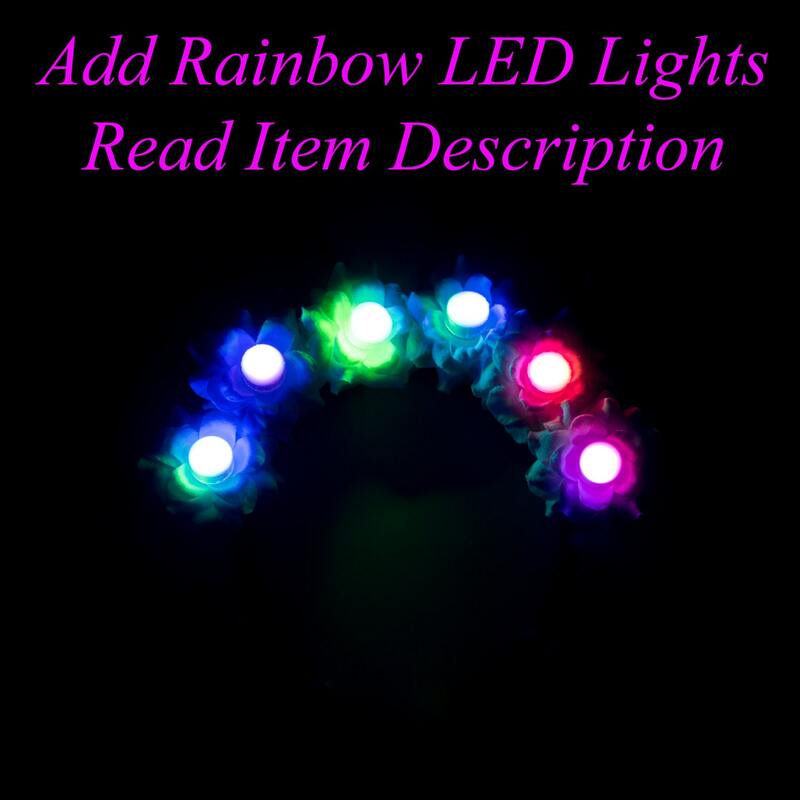 If you purchase LED Lights, you will NOT receive Jumbo Mouse Ears - the LED Lights can only be added to our Standard Black Mouse Ears as seen in the 1st image. These ears are amazing! First off, the packaging was awesome. The ears were nicely wrapped and protected and nothing was damaged. Next, the design. These are seriously one of the cutest pairs of ears, ever! The Incredibles is one of my favorite movies and these ears just make me so happy! Finally, the feel. When wearing the ears, you can barely feel them on your head. They are lightweight, yet good quality. 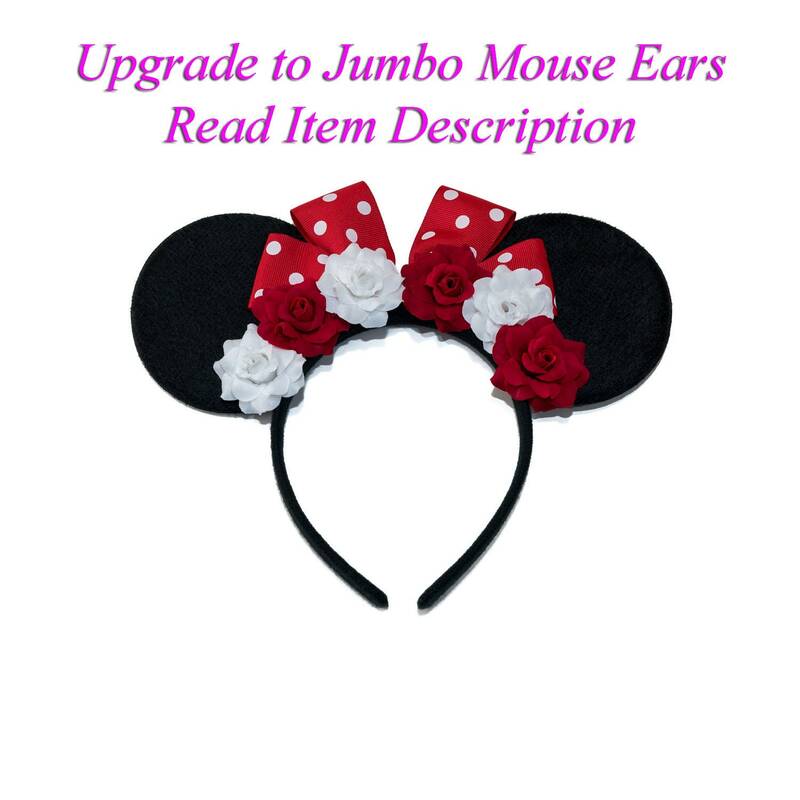 I would recommend these ears to everyone!